Dynasty Feud portrays an endless feud between eight unique dynasties spanning multiple time periods, backgrounds, and fighting styles. Honor your dynasty by taking part in deadly battles alongside friends - or join in random online/offline matches of up to four players. From melee juggernauts to sneaky snipers - along with invisible ninjas and even a TNT-loving cactus – each character has their own strengths and weaknesses. Knowing how to use them in coordinated combat is the only way to stay alive. Dynasty Feud was accepted by ICEX (España Exportación e Inversiones) as the entity’s second Spanish-made game to receive PR and marketing support in the United States from Novy Unlimited. Choose a dynasty and fight in fast-paced, all-out, one-hit kill brawls! Master 40 characters across 8 unique dynasties. Customise your very own dynasty in All-Star mode. Fight in epic 2-4 player battles offline with friends or online with opponents worldwide. Witness mass destruction as levels are left in ruin by hectic battles. 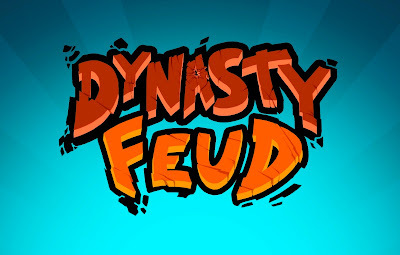 Dynasty Feud is currently available on Steam. On December 12, the game will be released on the PlayStation Store for $14.99/€14.99.